Strengthening of farmer producer groups in Kigoma Region. 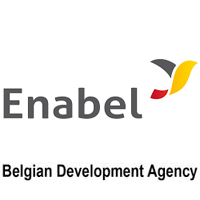 Enabel employs worldwide 800 employees in 19 countries. In Kigoma Region, Enabel implements 3 bilateral projects: water, natural resources and agriculture. These projects are executed in collaboration with the Kigoma Regional Secretariat and the responsible ministries. The agricultural project SAKIRP focuses on the cassava and bean value chain in the 6 rural districts of the region. The value chain development approach relies on the private and public sector and follows market and business principles. 1. Value chains management and coordination mechanisms are installed and steer cassava and beans value chain development. 2. Sound financial mechanisms are developed and financial organizations are strengthened to support value chains development. 3. Public and private chain supporters provide functional services to value chains actors. 4. Stronger position of smallholders in the value chain through improved productivity, economic integration and empowerment. 5. Improved market access and sustainable trade. This post holder is directly responsible for result 4. The SAKIRP technical team consists of 6 district focal points and 6 technical advisers. In 2018, 6000 farmers in 200 producer groups are supported. The ultimate aim is that 20.000 farmers in 600 groups have increased cassava & bean production and aggregation. SAKIRP works together with the local government extension system for production and with the private sector for marketing and aggregation.  Copies of academic & professional qualifications.  Phone number & e-mail.